Savour a glass or two in our elegant wine bar. For lunch, dinner or to sit back with a glass in hand, BAR20 Bistro serves up its epicurean pleasures and delicious wines in a unique and luminous atmosphere. Its ever-evolving menu, which changes along with the seasons, is infused with originality and rich flavors, in all simplicity. For those with discerning tastes, coffee lovers and cocktail amateurs, the wine bar and selection of special drinks are sure to quench your cravings! 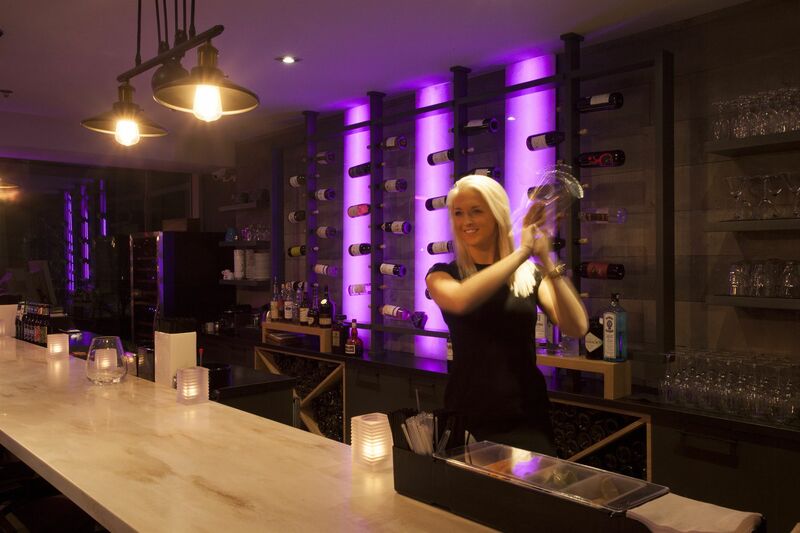 Sunday to Wednesday, 11:00 a.m. – 10:00 p.m.
Thursday to Saturday, 11:00 a.m. – 11:00 p.m.
Before you begin to explore the exciting Montreal nightlife, why not have some wine or cocktails in our wine bar first? We offer the perfect spot to get your evening started on the right foot. If you feel like staying at HOTEL10, you can also take advantage of our private event facility capabilities. Contact our sales department at sales@hotel10montreal.com for more information.